The poet Robert Frost once wrote: Some say the world will end in fire, Some say in ice. Could he be right? We’ve certainly heard about the apocalyptic threat from global warming (fire) or how the Earth might be at the beginning of a major climatic shift, heralding a new Ice Age (ice). Screw that. Those threats are decades away. Until then, we’ve got more immediate worries: apocalyptic events that could occur tomorrow. When the Large Hadron Collider in Switzerland was turned on back in 2008, some feared that it might create a black hole that could consume the Earth. That didn’t happen. But reputable physicists around the world are now expressing concern about this danger, along with the risk of such accelerators creating a particle called a strangelet—a particle so dangerous it could turn the earth into a dead lump in a matter of seconds. How likely is it that an asteroid or comet will hit the Earth? Very. Astronomers have identified more than 1,000 asteroids that could cause significant damage, but there are actually hundreds of thousands more out there. The Kuiper belt alone (near the planet Neptune) contains more than 100,000 asteroids, which continually rain comets toward the sun and Earth. It would only take one unlucky hit to end life on this planet. The newest global threat comes from a danger smaller than a bacterium or virus: think nanotechnology. Strange things happen at the atomic level. Aluminum foil, if broken down to nano-sized particles, becomes explosive. But that’s not the biggest worry. Scientists are already creating nanobots, self-replicating microscopic robots. Some worry that these robots could break loose and begin consuming all matter on Earth. Scientists even have a term for this danger: ecophagy (“eating the environment”). Life exists on this planet because of its precise axis to the sun and its protective magnetic field that shields us from cosmic radiation. If any of that changed, all life would quickly end. It’s happened before. Every 300,000 years or so, the Earth’s magnetic poles reverse themselves: north becomes south, south becomes north. This wreaks great havoc, momentarily weakening or wiping out that protective magnetic shield. Unfortunately the last time the poles shifted was 800,000 years ago. That means we’re long overdue for such an event to happen again. Few words are more disturbing than “mutually assured destruction,” which was the U.S. nuclear policy during the Cold War. Following the fall of the Soviet Union, are we any safer from a nuclear holocaust? No. There are 20,000 active nuclear warheads globally, many of which are poorly guarded. And more weapons are being produced by unstable countries who will soon be joining that nuclear club. It only takes one crazy world leader or terrorist organization with their finger on that nuclear button to wreak global destruction. Let there be light—just not too much of it. The sun regularly emits solar flares, bathing the Earth with high-speed subatomic particles that cause magnetic disturbances, interfere with satellites, and create the Aurora Borealis. But astronomers have noted sun-like stars in other solar systems that briefly flare twenty times brighter than ours. They hypothesize that those suns released super-flares, eruptions a million times more powerful than any ordinary solar flare. If our sun did that, it would literally fry our planet. How likely is it that we could be invaded by extraterrestrials? Scientists have already identified earth-like planets in other solar systems. With a hundred billion galaxies, each made up of a hundred billion suns, how could there not be other intelligent life out there? This raises the question: If aliens should make it out here, would they be friend or foe? We already know what happens most times when an advanced civilization encounters a primitive one. Stephen Hawking weighed in on this debate. His verdict: We’d be toast. If you ever watched The Incredible Hulk, you know the dangers of gamma rays. What you might not know is that massive gamma-ray bursts occur in space on a regular basis. They arise when two collapsed stars crash into one another. 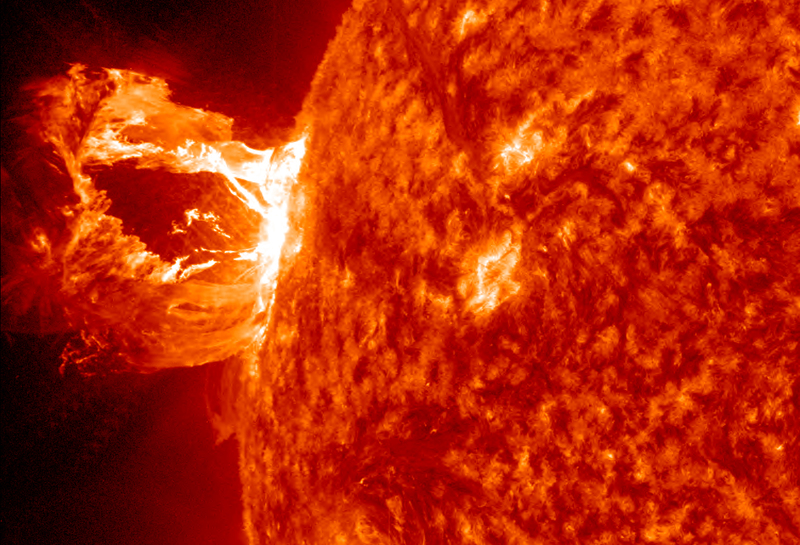 Resulting explosions generate 10 quadrillion times more energy than our sun. How much energy is that? If a burst occurred 1,000 light years from the earth, it would be as bright as our sun and broil our planet with radiation. These bursts happen every single day—but there is no telling when such a burst might happen closer to Earth. Volcanic eruptions have plagued mankind throughout history, resulting in deaths, changes to climate, and new coastlines. The real threat comes from supervolcanos: 70,000 years ago, a supervolcano erupted in Sumatra that wiped out most humans on the planet, dropping our numbers down to only a few thousand breeding pairs worldwide. When’s the next one due? Yesterday. Under Yellowstone National Park, a massive supervolcano is already showing signs of increased activity. 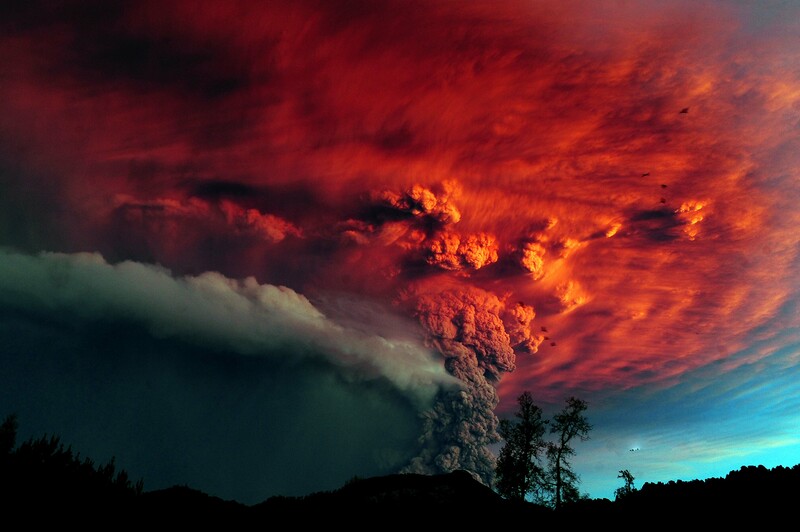 It has erupted three times in the past, on average, every 600,000 years. The last eruption was 640,000 years ago. So we’re 40,000 years overdue for another eruption. After reading this list of apocalyptic events, maybe it's best to remember the old nugget: live each day as if it's your last. James Rollins's latest thriller, The Eye of God, addresses one of the above end-of-the-world scenarios. To learn which one (and ways to survive), pick up his novel today…before it's too late.